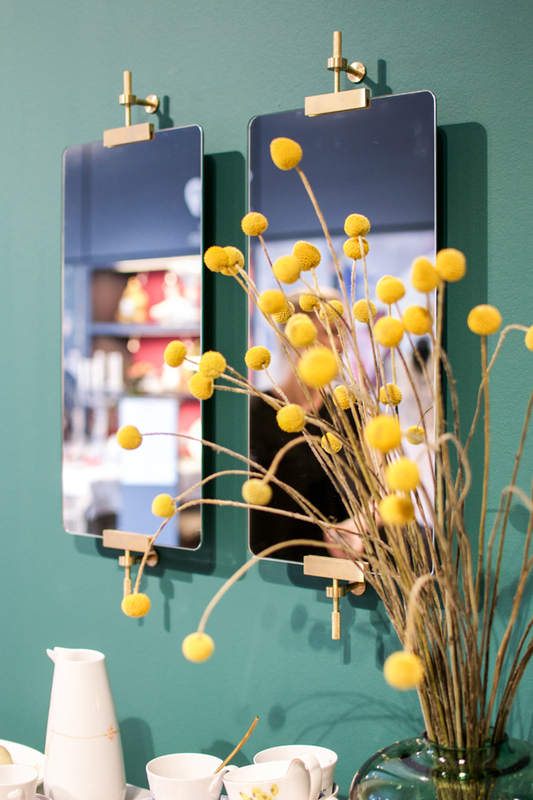 Two weeks ago I was invited by three incredibly great Danish design brands to attend a design blogger tour: Dinesen, Fritz Hansen and Royal Copenhagen. The two-days tour was amazing – I came back with loads of Danish design inspiration but let me split it up in three posts as I don’t want to overwhelm you with information and images (and there are plenty of both). 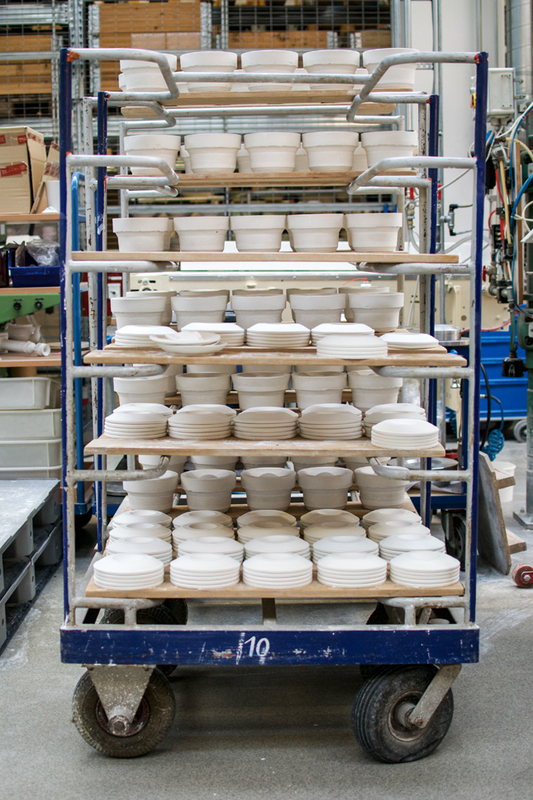 So let me start with our first stop: a visit to the production facilities and the flagship store of the iconic porcelain manufacturer Royal Copenhagen. 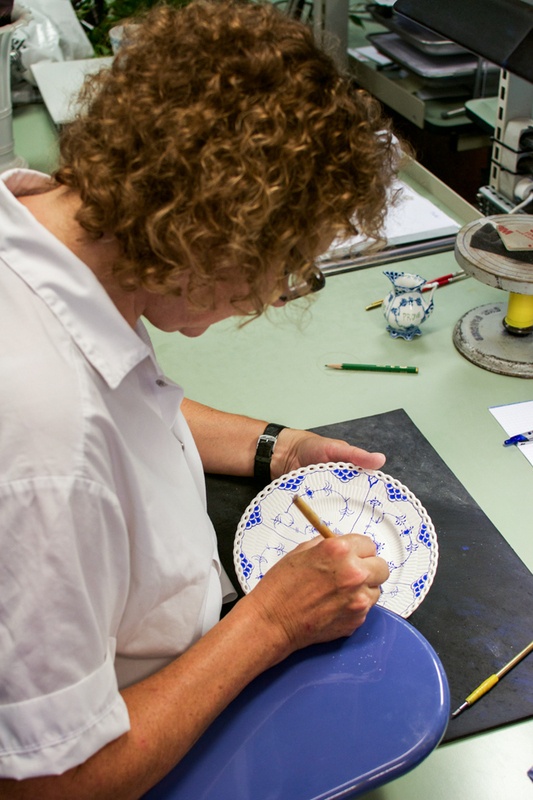 Royal Copenhagen is Denmark’s finest and most prestigious porcelain factory founded 240 years ago. They have set the table for royal families, noblemen, wealthy families, and then to a broader public of Danish families and many foreigners. 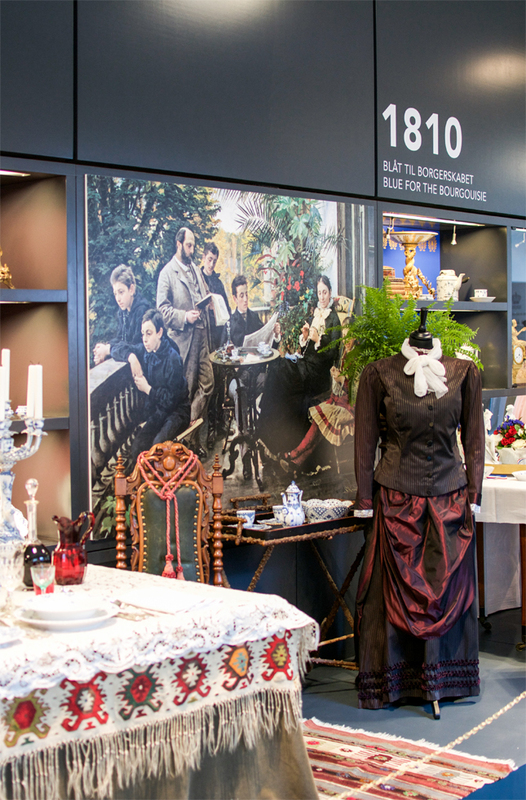 Throughout history Royal Copenhagen has preserved its iconic design and high quality. 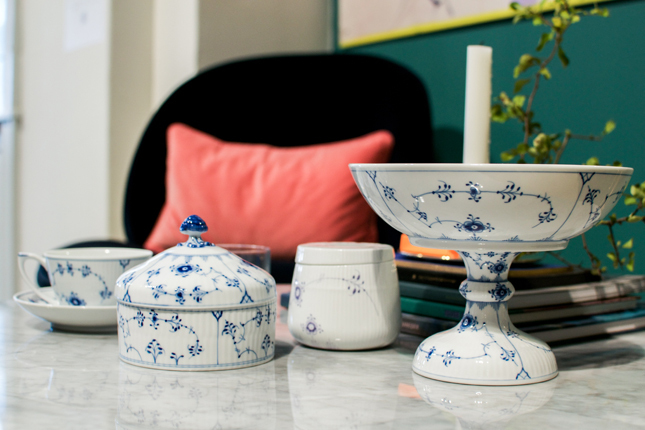 One of the most renown patterns is the so-called ‘Pattern Number 1’ (because it was the very first pattern of Royal Copenhagen) also known as ‘Blue Fluted design’. 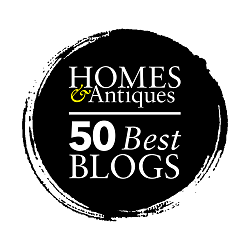 You might have spotted the Blue Fluted design on the blogs and Instagram pictures of some Danish design bloggers – it is just as popular today as it was 240 years ago! 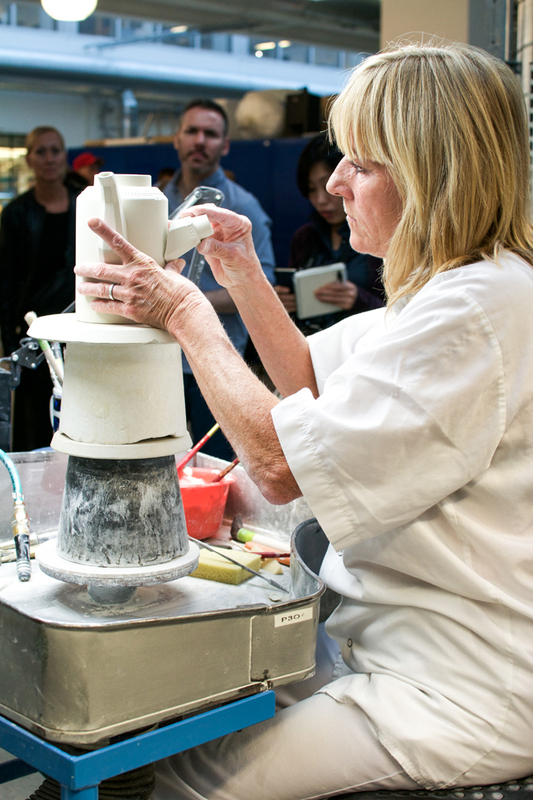 Visiting the production facilities of Royal Copenhagen was truly amazing: We got to peek behind the scenes and see how the liquid mixture was poured into moulds, how pieces were attached, how mugs were fired and how they were glazed and hand-painted in both the Blue Fluted design and the eclectic Flora Danica design. 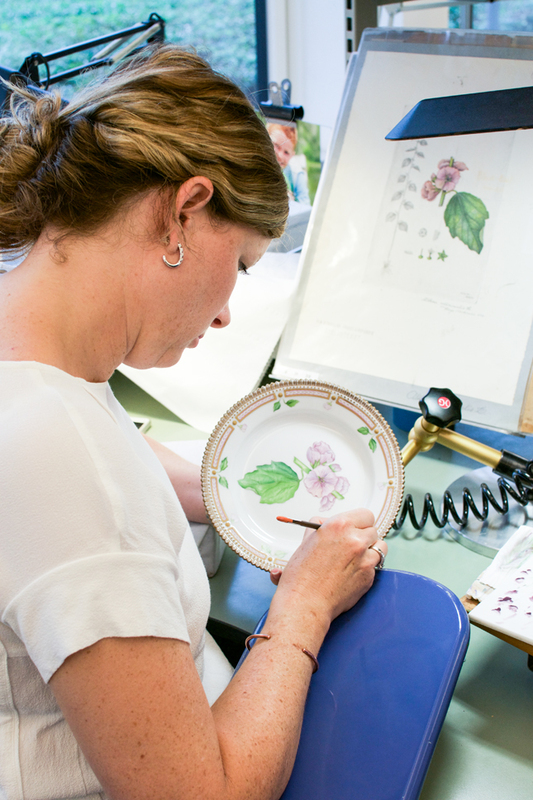 Watching the talented people hand-painting plates and mugs was truly astonishing – it seemed so easy going, like if their hands were guided by intuition. Shortly after that I had the opportunity to learn it myself. 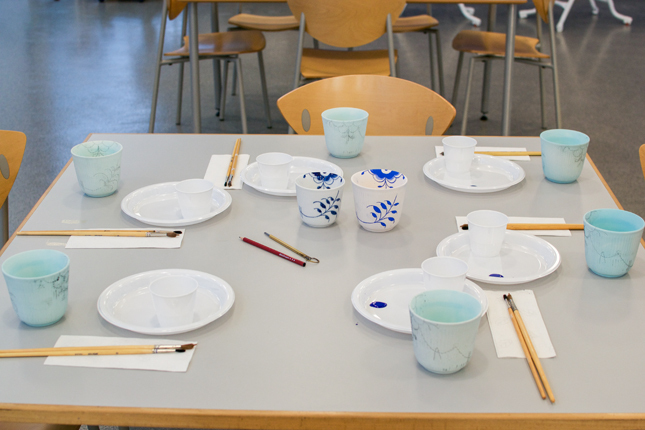 We had the chance to paint our own Blue Fluted mug at the factory. With the help of the talented ladies from the painting department, we carefully followed their steps and with a few beginner problems (the first lines look like I did them during an earthquake) I managed to accomplish the task and paint my first and very own Royal Copenhagen mug. 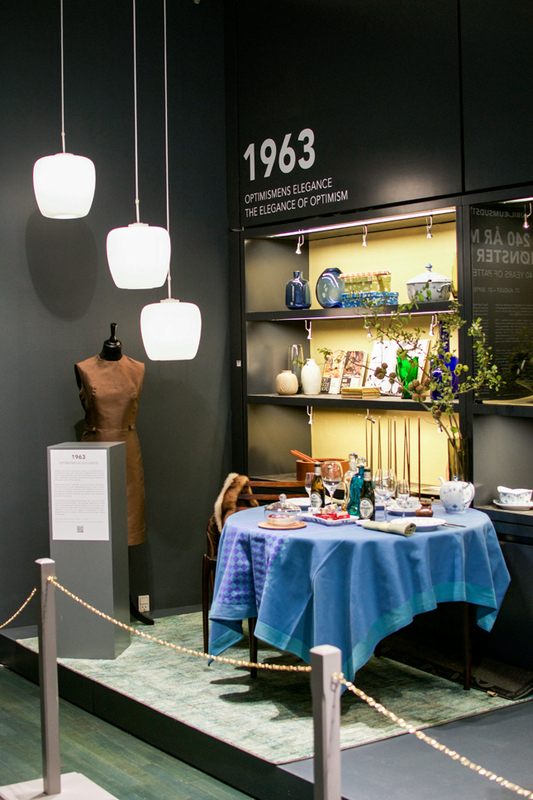 After the factory visit we headed to downtown Copenhagen to visit the flagship store of Royal Copenhagen, where an exhibition showcases the Blue Fluted design throughout its 240 years of history. Structured in decades we walked through the history and one companion was on our side from 1775 to today – the beautiful tableware from Royal Copenhagen. OH Igor what a fantastic trip – even Danish me haven’t been there 😉 Looks absolutely awesome, and I love the fact that everything is still painted by hand – not an easy thing to do I can imagine. Sorry for the radiosilence, I have been so busy with some new stuff…. 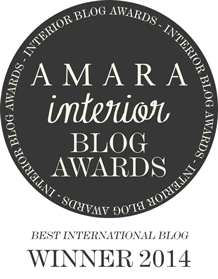 I can strongly recommend a visit Anya! I was fascinated! 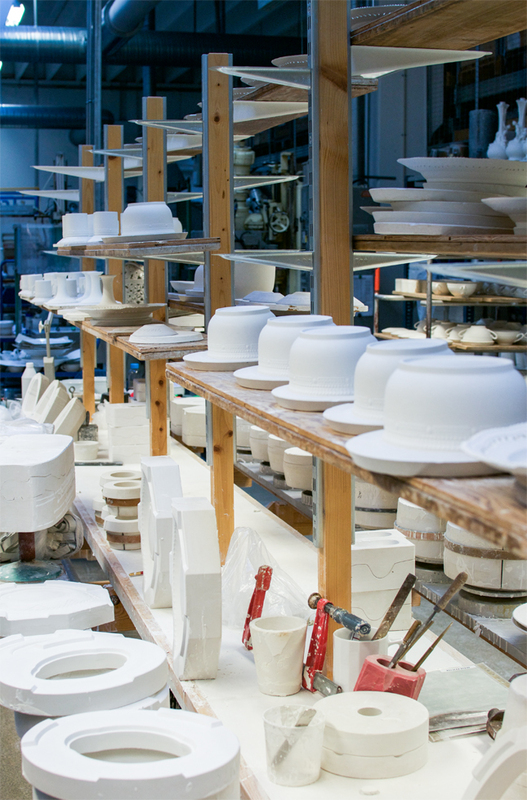 I was lucky enough to visit also our local porcelain manufacturer here in Munich and it was yet another mind-blowing experience. 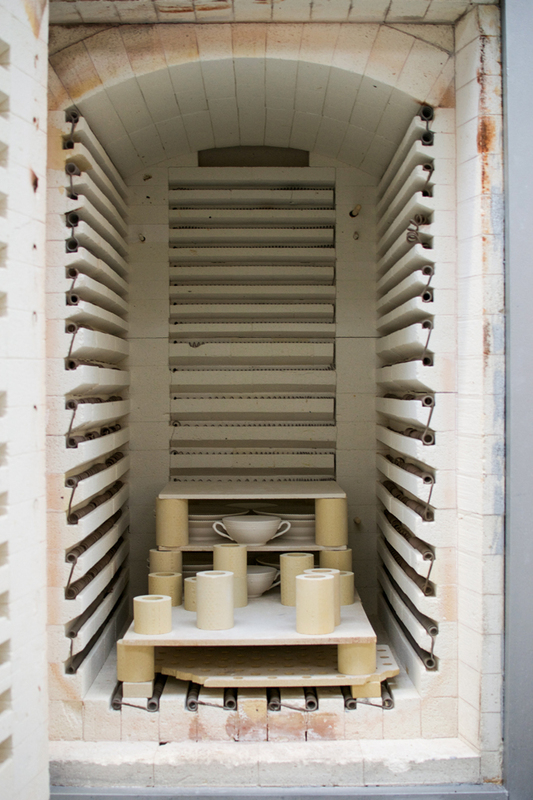 I think deep inside I should be a ceramicist:-) Oh and I am so excited for your new project – off to see more of it!! What a fantastic trip it must have been! You are one lucky guy! 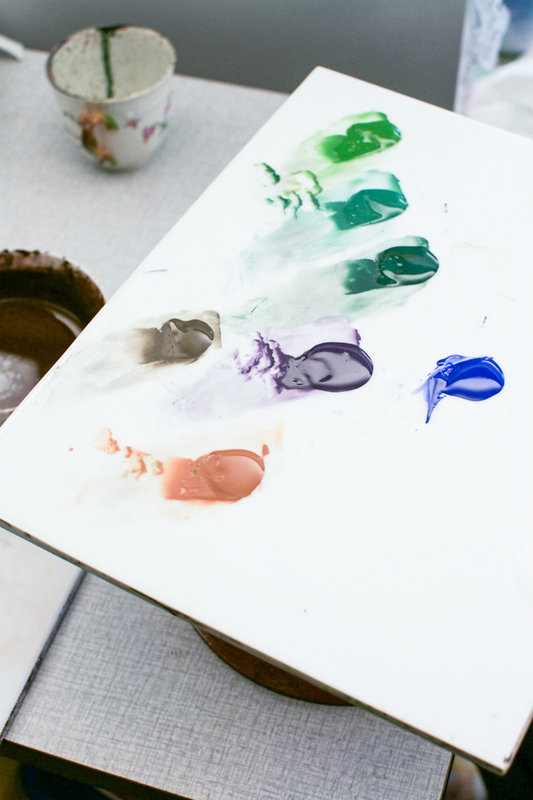 If I ever get a chance, I’d love to paint me a cuppa, too 😉 one day… Have a great Wednesday! :-* A.
Sabine, I would sign that too – always tableware for me! Oh and you should have joined us at the Porzellanmanufaktur Nymphenburg on Friday. Magic can’t even describe it! 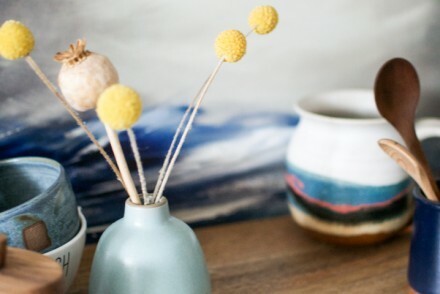 I am in love with both porcelain makers! Ui……what a wonderful and inspiring trip! 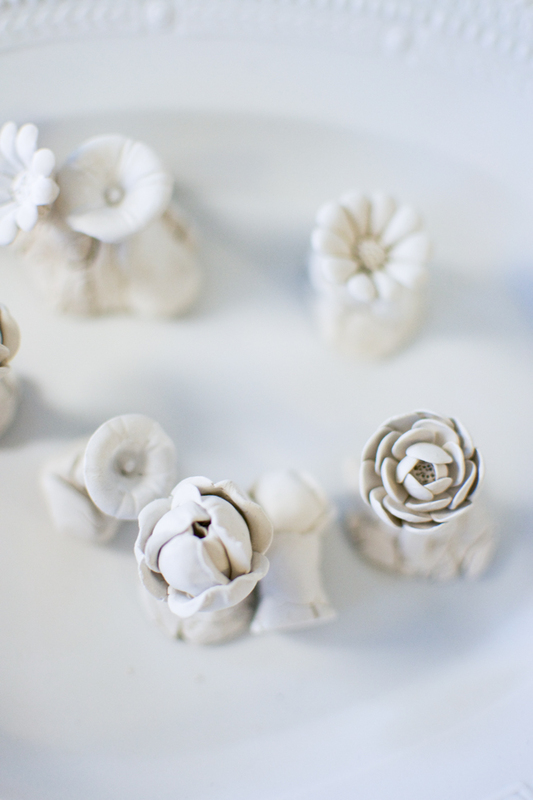 A long time ago my older sister startet painting porcelain and I learned a little from her, but it´s really not that easy as it looks like! 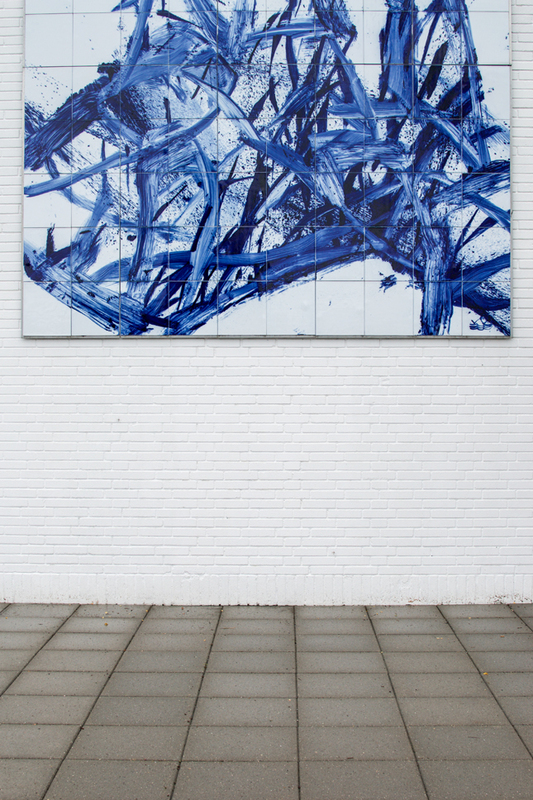 And don´t mind…..all the pieces I painted look like made in the worst earthquake too ;-D! Ah good to know Anne!! 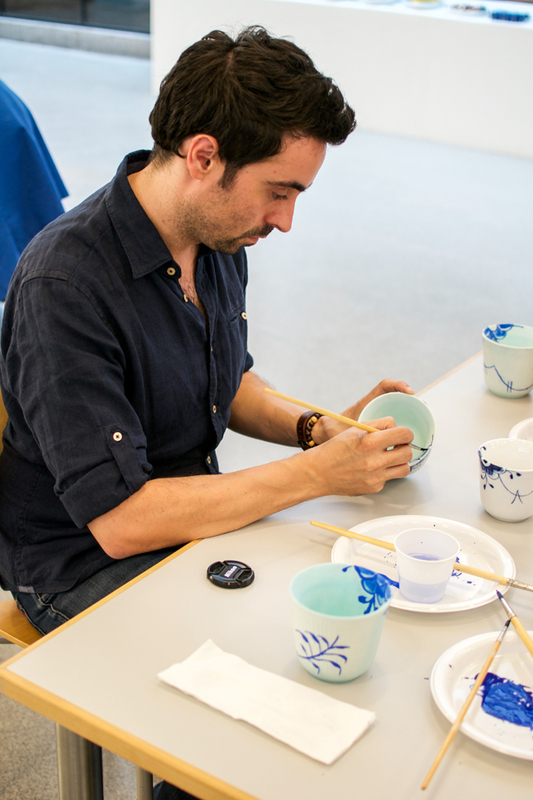 It is amazing as it looks so easy going when you watch others do it, but when you try it yourself you feel like your hands are shaking all the time and every line is crooked:-) I am curious to see my mug once it’s fired! Hahahaha painted as during an earthquake. 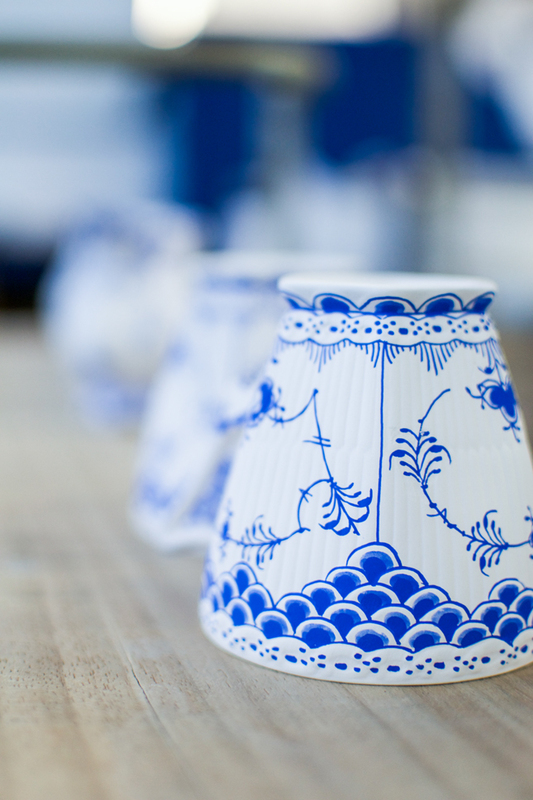 I dare you to show your beautiful Royal Copenhagen Blue Fluted mug, I’m sure it looks stunning amongst your ceramics collection! 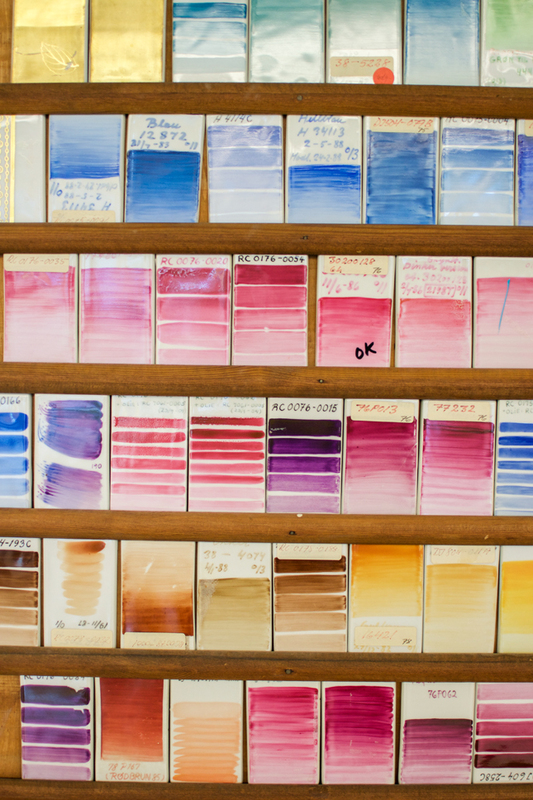 I love that photo of the glazing chips, we used to have those at home (in all shades of blue, grey, beige), as mom was a enthusiastic ceramist in the 80s. Thanks for taking us along on your workshop! So schön, erinnert mich sehr an unsere kleine Tour in München, so happy, wir durften fotografieren. Den nächsten Kurs machen wir vielleicht eines Tages in Barcelona:) Un abrazo. Absolut Gudy. Ich musst in Kopenhagen ja auch die ganze Zeit an Dich denken. Und wenn Du mal einen Kurs machst, bin ich definitiv dabei! 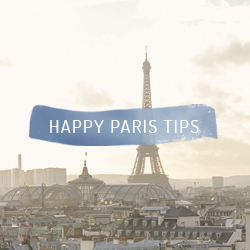 No problem at all, happy you like it! I guess most of the paint work was done as a show. All the Mega things for example are being painted in Thailand that´s why things are much cheaper now than they were 10 years ago. But actualy, I don´t mind: that´s globalisation!